There was a time when the name Mad Catz was synonymous with the video game peripherals market. The Californian giant began life 28 years ago, and built a reputation for creating gamepads, memory cards and other add-ons that were lower quality, but ultimately much cheaper than the official first-party efforts. Over the years, and through a series of acquisitions, Mad Catz developed a peripherals empire. From dancepads and flight sticks, to cheat discs and premium arcade controllers, the firm had developed a market leadership in plastic add-ons. Then, in March this year, following a string of disappointing financial results, the company filed for bankruptcy. "There were a lot of bad bets made," says Aaron Smith, co-founder of LucidSound. Smith had spent almost six years at Mad Catz alongside his LucidSound partner Chris Von Huben. They both joined from Tritton, which Mad Catz acquired in 2010. "There was a large investment in that Mojo gaming console concept, which really didn't pan out. Rock Band was a big one that didn't pan out. 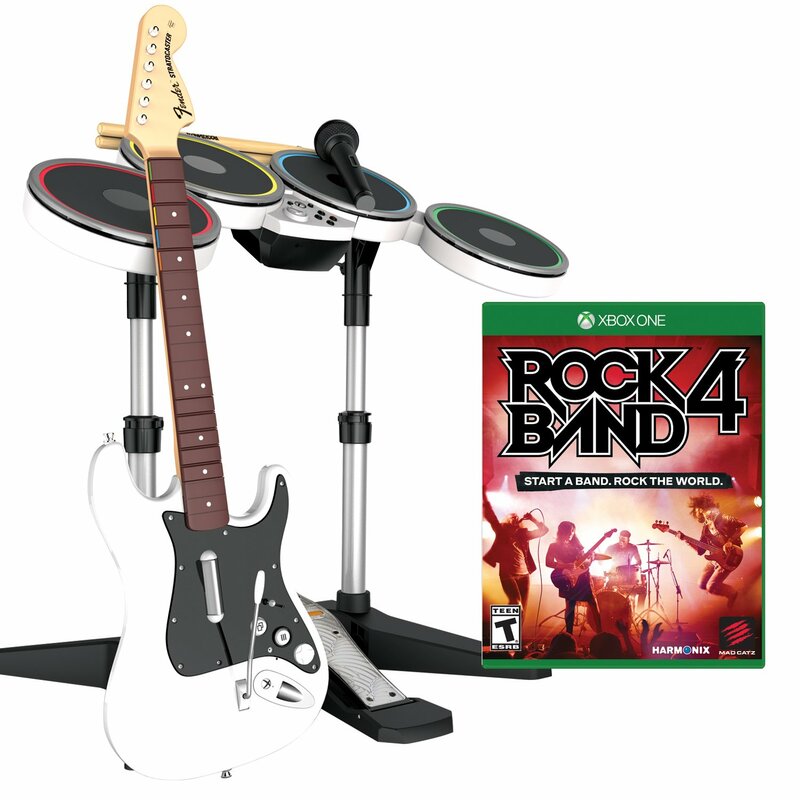 Even the first game they were involved with, Rock Band 3. Despite appearing to be a success in that first year, the next year, the amount of inventory that was in the retail channel that ended up coming back or had to be discounted - that really hurt the financials from then going forward." Rock Band and the Mojo Android device were the headline flops in Mad Catz's fall from grace, but the company was also struggling to adapt to an accessories sector that had become flooded with competitors. Although the firm still did swift business in its niche categories, it was struggling to keep up in the increasingly lucrative gaming headset sector. So Mad Catz made the smart decision to find talent and buy it. Hence the $1m acquisition of Tritton. "We were the affordable premium brand," Smith explains. "We had decent sound quality, and nice industrial design at a price that was between the [low-end] Turtle Beach and [high-end] Astro offerings. So you paid $100 less than Astro on the headset, but you got something that could compete with it, versus paying $50 less than what we were charging, to get the Turtle Beach - and most of their designs felt a bit plasticky and generic. "So that was our brand position. Now Mad Catz, outside of their arcade sticks, which were really high quality, were known for being the less premium brand. They were known for the cheapo controller that you bought because you didn't want to spend all that money on the first party version. However, they tried to position the Mad Catz brand above the Tritton brand, so they kept coming out with less and less expensive Tritton headsets - below $100 - and then they were creating their own line of headsets called the FREQ, which were $300 and up. I think they missed the fact that the Mad Catz parent brand didn't have the panache of the Tritton brand. "It was sort of like when Volkswagen purchased Audi, and then Volkswagen decided to come out with the Phaeton - which was an $80,000 Volkswagen sedan. Nobody bought it. Because it was a Volkswagen. Essentially it was an Audi A6, and everyone would love to drive that, but they weren't happy spending that amount on a Volkswagen." Mad Catz was also cautious in its marketing, whereas its competitors were not. "We came up with a couple of cool headsets, such as the Warhead, which was the first fully wireless Xbox 360 product," Smith says. "Mad Catz didn't really put the marketing investment behind it. They said they'd put it out into their distribution channel and see how it does. And we got it up to about $70m a year, which was pretty good, but if you look at how Turtle Beach did during that same period with their private equity investment, they were up in the $300m a year." "They'd realised Rock Band hadn't worked, Mojo hadn't worked, and the only thing they had that was making them any money consistently was this headset business"
Smith and Von Huben pitched a new idea for a headset - a sleek, minimalist concept with more intuitive volume controls - but Mad Catz favoured the more techy sci-fi look (complete with flashing lights), which were designed by former Saitek developers in Magor, Wales. It was a difference of opinion that saw Smith and Von Huben form LucidSound and build their headset concept there - something that Mad Catz allowed them to do. Nevertheless, despite not matching Turtle Beach's explosive growth, headsets remained one of the few profitable areas for Mad Catz, and just before the firm called time on its business, it began to push Tritton once again. But it was too late. "The first year after the Tritton acquisition, Tritton headsets were 50% of their revenue," Smith concludes. "And it's consistently stayed at that level right up until the end. But it wasn't until the last year when they said they were going to re-focus on Tritton. They came out with their Ark series, which they had launched just prior to going out of business. At that point they'd realised Rock Band hadn't worked, Mojo hadn't worked, and the only thing they had that was making them any money consistently was this headset business. So they decided to focus on that. "It's always sad seeing something that you built essentially come to an end. I am hopeful that someone picks up the Tritton brand. I know that there were people interesting in buying it, and [Mad Catz] was trying to sell it prior to going bankrupt. People should be able to pick it up with no liabilities. They may not get any physical assets, because I don't know if Mad Catz paid for those, but they should be able to take the brand and market products under that. "I joked with Chris that we should buy it and make Tritton great again. But we don't have any immediate plans."